Usually ships within 3 weeks, rush orders may be accepted however a rush fee will apply. 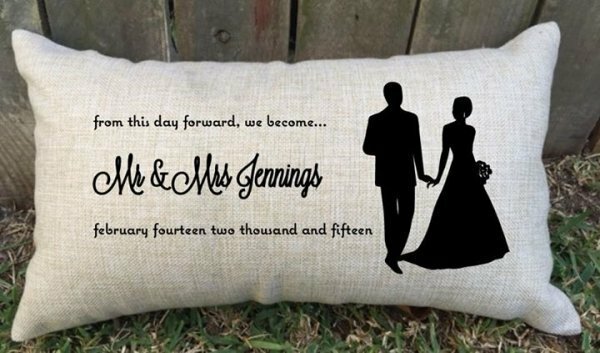 This personalised lumbar wedding pillow is the perfect gift for a wedding, bridal shower or even an anniversary gift. Such a lovely keepsake for the newlyweds. Design features the words 'from this day forward, we become... Mr & Mrs.... along with their wedding date.